Belleair is best known as the home of the Belleair Country Club which has Florida's oldest golf course, established in 1897. The country club originally included a grand hotel built by railroad tycoon H.B. Plant, and was a popular winter destination for wealth northerners who traveled. Plant's railroad to Florida. Today, Belleair is a small town of about 4,000 residents located along the Gulf of Mexico just south of Clearwater. Due to its proximity to the Gulf and the country club, it primarily consists of upper- and upper-middle income families. 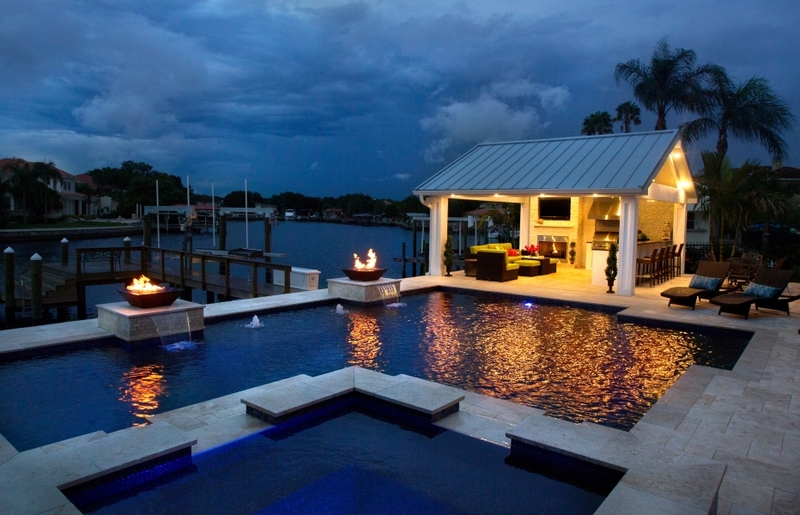 If you are seeking a Belleair pool builder to turn your backyard into an amazing Belleair outdoor living space for your family, look no further than Grand Vista Pools. We have been building new swimming pools in Belleair, Florida for more than 20 years. One factor which makes Grand Vista Pools stand out is we are also a licensed general contractor in addition to an experienced swimming pool builder. So, we can design and build your entire outdoor living area including doing renovations to your home to help connect your indoor living space with your outdoor living space. Belleair has some beautiful older homes in it. If you have an aging Belleair swimming pool that needs remodeling or resurfacing, Grand Vista Pools is the right company for the job. Want to add some life with lighting, water or fire features? Maybe put in a spa? We can do everything from pool resurfacing to an extreme makeover.